In case you're looking for one last special Christmas gift, I saw a pleasant surprise at Hobby Lobby the other day. 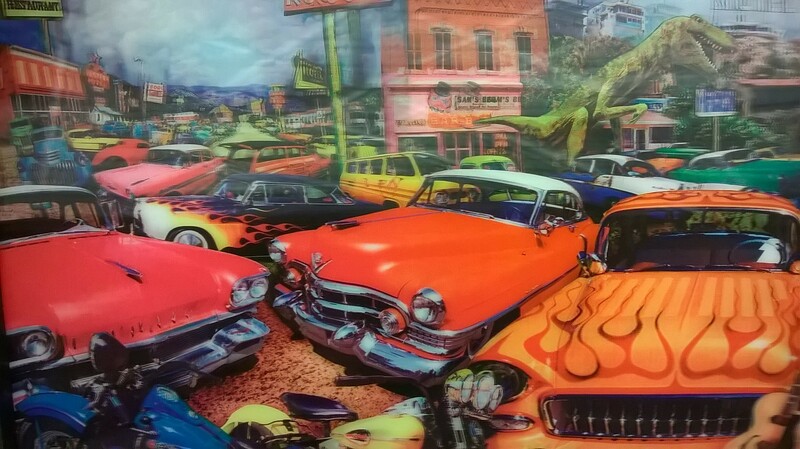 They had a 3-D-ish wall painting of classic cars with a pretty cool surprise sitting in the middle of the background. It might be worth checking out your local stores to see if they have one. Was it painted on a cotton canvas or cardboard? Either way, it would be a great man cave wall hanging. Edited 1 time(s). Last edit at 12/24/2017 07:56AM by MattNall. Never been in one and I'm a fan. Edited 1 time(s). Last edit at 12/24/2017 07:57AM by MattNall. Oh yes MERRY CHRISTMAS to your family. Edited 2 time(s). Last edit at 12/24/2017 07:58AM by MattNall. 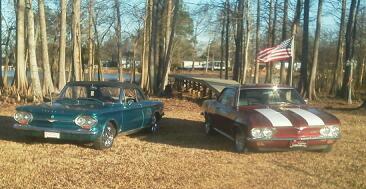 I like the picture, especially when i found the Corvair. Doesnt matter to me where its for sale. If i want, i will seek out. MERRY CHRISTMAS AND GOD BLESS US...EVERYONE!! Remembering only that there had been some controversy with Hobby Lobby in the past year or so, but not remembering what it was, I looked it up. It is certainly the right, and perhaps even the obligation, of individuals to determine whether these issues will cause them to boycott the stores. Whether you choose to shop there or choose to boycott, I will respect your choice. However, I will not be purchasing the specific artwork that is at the root of this thread, albeit it for a very personal reason not based on the matters referenced above. I think it is uggggg-ly! Edited 2 time(s). Last edit at 12/24/2017 11:51AM by MattNall. Yeah it is quite ugly haha and no one pointed out the T-Rex?? 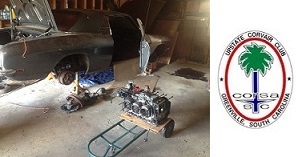 Yeah the isle is either littered with hot rods, vette or mustang stuff. Edited 1 time(s). Last edit at 12/24/2017 11:52AM by MattNall. 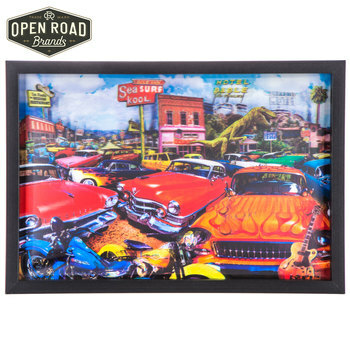 Apparently one is able to purchase the "Route 66 Lenticular Framed Wall Decor"
Brand: Open Road Brands SKU: 1499979 through their website if they so choose. Thanks for that info, CarHolic4Life. "Cars & Rock 'N' Roll Lenticular Framed Wall Decor" On sale at 50% off! Edited 1 time(s). Last edit at 12/24/2017 11:43AM by MattNall. ****S*N*O*W**** is falling at my place *!*!*! We are going to have a White Christmas!! Just like the ones I never knew! I have my wife to hug me, thank you. Wish we had snow here in Savannah. Too dang warm again. My wife likes the dinosaur. Merry Christmas to all from my 60 degree town. I'm sorry to see that my original post, which was solely intended to inform you all about a piece of wall art that has a Corvair present, got hijacked into a political snipping session. May all find reasons to enjoy this very Merry Christmas and have a positive New Year.